What Caused BP’s Deepwater Horizon Disaster? The smoke has literally cleared from BP’s Deepwater Horizon disaster. Now comes the dirty work of figuring out who to blame. BP’s report blames a handful of key players for the accident: Transocean (owner of the ill-fated rig), Halliburton (the company that cemented the well) and itself. The report identifies four critical factors that triggered the disaster, none of which should be too surprising to anyone who watched the oil spill unfold. 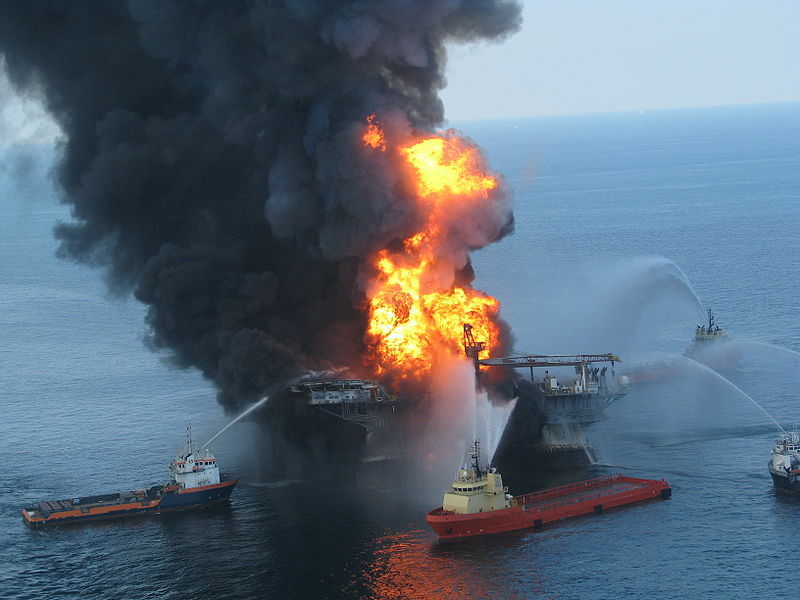 BP notes that well integrity was not established, hydrocarbons entered the well undetected and well control was lost, hydrocarbons ignited on Deepwater Horizon, and the blowout preventer failed to seal the well. Reading between the lines of the report shows that BP deflects much of the blame. BP’s report claims, for example, that the well blowout occurred at the center of the pipe and not outside of the annulus (the shoddy well casing chosen by BP). That would mean that BP’s choice of a cheap well casing didn’t play a part in the disaster. The company does admit that it played a part in the disaster. The report notes that BP incorrectly interpreted the well’s pressure test, and that BP employees missed out on the warning signs that indicated a well was about to blow out. In any case, BP’s report is more of a PR stunt than anything else. BP’s report probably won’t influence the Department of Justice’s potential civil and criminal charges against the company, and Transocean is conducting a separate investigation. Still, it’s worth a look–it isn’t easy to fill up 200 pages with excuses and deflections.